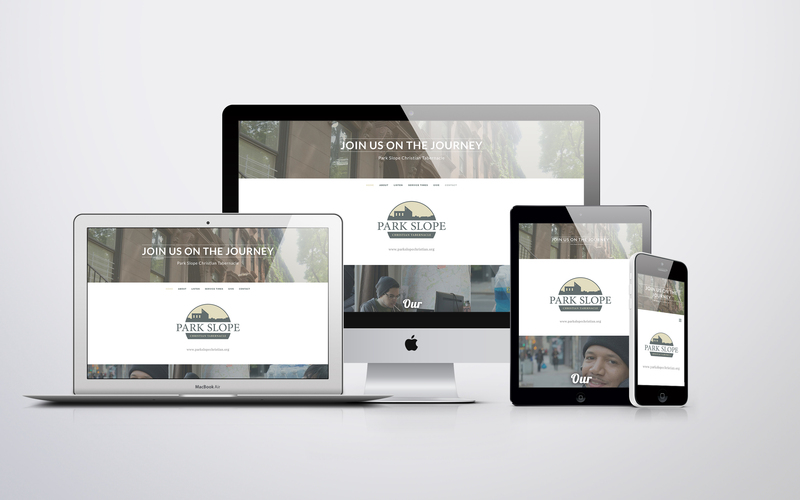 Park Slope Tab has existed for over 50 years. 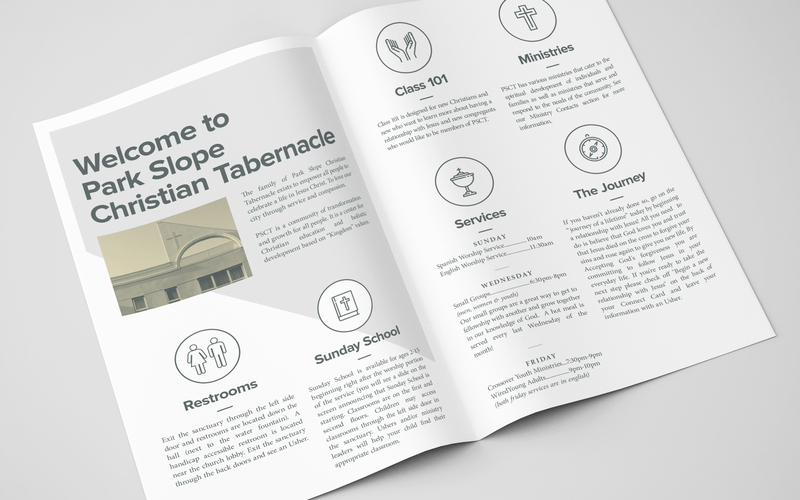 A staple in their community, they decided to revamp their website and Sunday service handouts. 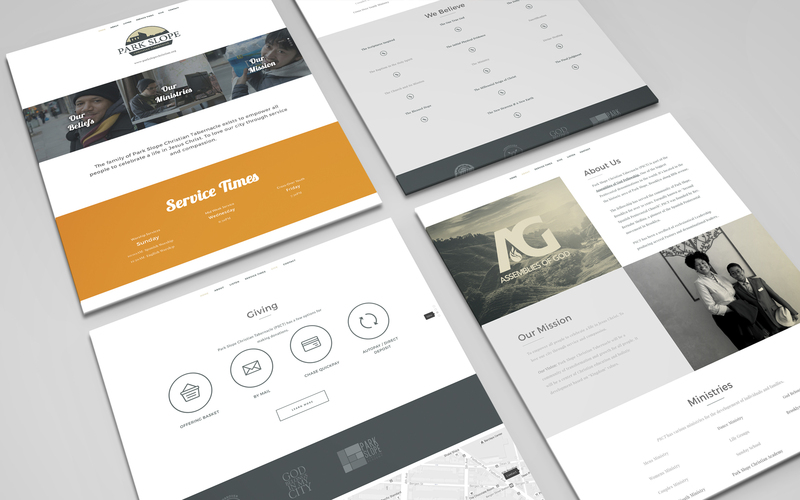 We began by redesigning their logo – an image reflective of the church and its location. We followed up with a simple, sleek website that is easy to navigate while still providing necessary information for members and visitors. 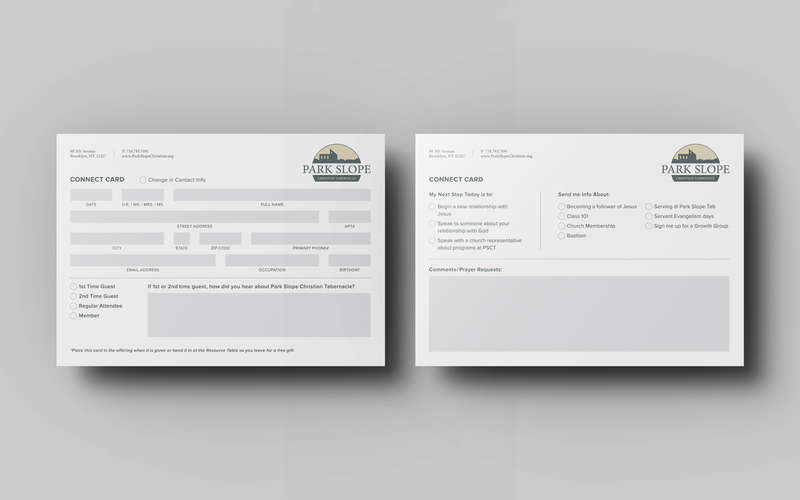 Lastly, we redesigned both their service bulletin and visitor connect card. 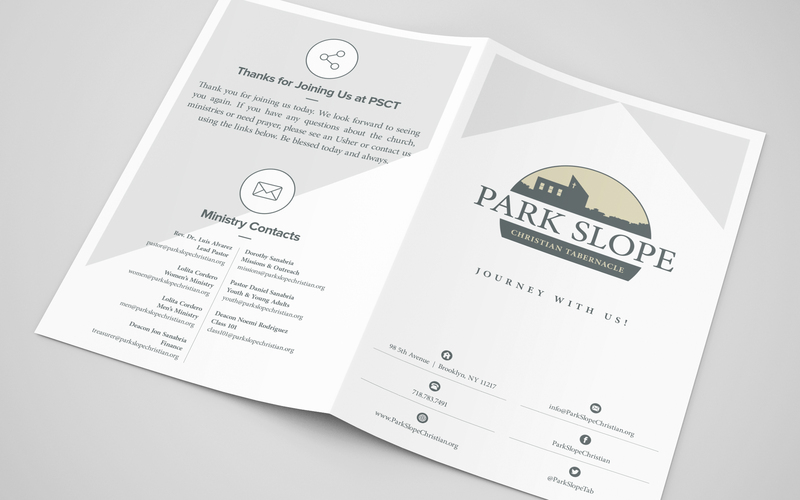 Consistent with their website, we designed handouts that are clean and simple, but also informative.